This report appeared in the Philanthropy News Digest and suggest that the wealthy in the U. S. receive numerous hidden benefits, many obvious and some not so obvious to the uninformed. Certainly, the source of the report is well-respected and the basis of the information grounded in solid research and investigation. Not something we're likely to hear about on the Sunday morning talk shows this week. 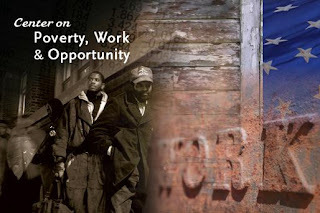 Have you noticed, no one seems to talk about "the poor," those folks who live in and struggle with poverty. The federal government spent nearly $400 billion in fiscal year 2009 to help people save money and build wealth, but the vast majority of the money went to the nation's richest taxpayers, a new report from the Annie E. Casey Foundation and the Corporation for Enterprise Development finds. According to the report, Upside Down: America's $400 Billion Federal Asset-Building Budget (26 pages, PDF), the top 1 percent of families received an average of $95,000 in assistance last year, while families making $100,000 annually received $1,600, and the poorest received less than $5. The inequitable distribution is all but invisible, the report found, because the wealth-building strategies are tucked into the federal tax code — as deductions, credits, and preferential rates — rather than in the government's annual discretionary budget, where they would receive more scrutiny. By embedding asset-building strategies into the tax code as deductions and exclusions, the federal government naturally favors those who bear the heaviest tax burden. Indeed, the wealthiest 1 percent of taxpayers received 45 percent of the federal asset budget while contributing just 27 percent of total tax revenue. Policies that depend on direct outlays in the annual budget, including the Assets for Independence program, which provides matched-savings accounts for low-income families, have proven successful in encouraging savings, homeownership, and business startups. Yet, because they are visible, such programs often become fodder for partisan political battles. "If we are serious about cutting the deficit, Congress could start by trimming these upside-down subsidies and creating a more equitable approach," said CFED president Andrea Levere. "As Congress debates whether to extend the Bush-era tax cuts for the wealthy and the president's fiscal commission develops recommendations to balance the federal budget, they should remember that we could shave $1 trillion off the deficit in the next decade simply by capping some of these benefits." “The lie of poverty speaks with abuse. This article appeared in The New York Times on September 18, 2010. Another result of the recession. Working with men, women and youth here in inner city Dallas has taught me that for many offenses prison is not the best solution. As a matter of fact, prison, at least the way we do it in Texas, often makes things worse for everyone. And, it cost us all an arm and a leg and one life after another harvested out of already weakened communities. I'm not talking about violent crimes here or sexual crimes. For the most part, I am talking about how we handle addicts and users. Read the article and consider the "cost benefit" analysis that seems to be at work in the concept. Then, tell me what you think. The practice has touched off a sharp debate. It has been lauded nationally by a disparate group of defense lawyers and fiscal conservatives, who consider it an overdue tool that will force judges to ponder alternatives to prison more seriously. The intent behind the cost estimates, he said, is transparent: to pressure judges, in the face of big bills, into sending fewer people to prison. If you are interested in considering the impact of Fundamentalism on American life and thought today, a good place to begin would be the pulpit of Dr. John Fiedler at First United Methodist Church, Dallas. Click here to go to the "Video Archives" and select the messages on Sunday, September 12 (A Covenant of Grace) and September 19, 2010 (Prayer and Mediation). Few things are as entertaining as youth soccer, especially when the players are 4-years-old! Here's a clip from my grandson Owen's match this morning. What a player in goal! Here's one he titled, "What ending homelessness looks like." She’s not going to be homeless, even though her boyfriend beat her and disappeared with her money. Even though her job disappeared next, she and her babies had to move in with her mom, and now her mom’s boyfriend wants them out. She’s not going to be homeless because the domestic violence counselor sent over a woman who mediated, found some places that were hiring, contacted a new day care center, connected her with a different landlord, and paid the security deposit and her storage bill. She’s not going to be homeless. She’s going to unwrap the dishes. On one of the newspapers she’s using there’s a story about The Last Homeless Person in America. She laughs, thinking, “That could have been me.” She’ll have to read it later. He’s not going to be homeless even though he came back from overseas and couldn’t talk to anybody. Even though his girlfriend, his boss, his friends and parents all made him so furious he couldn’t be around them. He’s not going to be homeless because the last time the doorbell rang, he let in the Veterans Affairs officer – a man who had rung twice before. Before he was ready. He’s not going to be homeless because the VA officer showed him how the Department of Veterans Affairs could help him – with job programs, benefits, landlord assistance, even a rent voucher if he can’t get work right away. "We've allowed the souls of our young people to grow emptier, our schools have become a disgrace, & our communities shattered." Press Release: Love Downtown? Live Downtown! Apartments in the heart of downtown, conveniently located near transportation, business, and entertainment are now available, offering a unique opportunity to live downtown, where residents can enjoy high rise living without the high prices. Dallas, TX., September 21, 2010 --- City Walk @Akard is more than a recently renovated 15-story apartment building. It is a unique opportunity – an opportunity for moderate income wage earners to have a convenient, new apartment home set in the heart of downtown – an opportunity to live in a historic building that offers many of the same amenities found in upscale, urban high-rises but at a range of affordable prices. Marble lobbies welcome residents and guests. A 24-hour doorman and on-site management provide worry-free living. City Walk @ Akard provides fun with an on-site activity director and a community room complete with organized youth activities, a fitness center, library, computer room, game room and music sound room. Available now, loft-style apartments are being offered by Central Dallas Community Development Corporation, Central Dallas Ministries’ nonprofit, housing developer. “Central Dallas CDC's goal is to bring beautiful, sustainable design to housing for people at any income level,” explained John Greenan, Executive Director at City Walk. Units come furnished with appliances, stainless steel lighting fixtures, painted accent walls, cabinets, and polished floors, plus free WiFi access and on-site laundry facilities. Electricity, Heat/ & Air conditioning are included in rent. 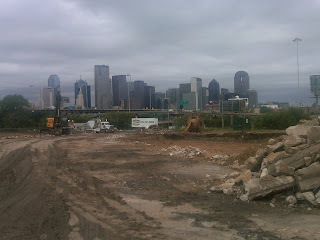 Most apartments have spectacular views of the Dallas skyline! City Walk @ Akard has easy access to all major thoroughfares and is a short walk to the DART Rail and all public transportation. According to Andrew Fortunato, executive consultant to City Walk, “affordable housing is an asset to residents and our community.” Residents can enjoy downtown shopping, dining and entertainment all right outside their “front door”. For those individuals who work downtown or who are looking to live close to transportation, City Walk offers convenience and affordability. City Walk is more than an opportunity to live in a beautiful high-rise building. It is an opportunity to “move-up”! To learn more about all that City Walk has to offer, go to www.citywalkatakard.com or call 214.468-8826. Central Dallas Ministries offers free and sliding scale legal services to low-income individuals and families in our Legal Action Works Center (commonly known as "The LAW Center"). Our four full-time attorneys work through 25-300 cases annually. Over 80% of the cases we take involve family law matters. Much of what we do relates to protecting very vulnerable women and children. Click on link to the LAW Center to watch video on our legal work. It is widely estimated that 80% of the legal needs of the poor people in the U.S. go unmet. Unlike criminal cases, where poor defendants are appointed an attorney, there is no constitutional right to counsel in civil cases. The choices for someone facing the legal system without representation are bleak and few: represent oneself without legal expertise, or forgo legal claims entirely, sometimes with dire consequences. I'm grateful for our LAW Center and its important work. Ironically, it is one of our initiatives that is very hard to fund annually, but its impact is enormous in the lives of those we represent. The story below appeared in The Daily Campus, the student newspaper at Southern Methodist University. It reports on the groundbreaking work of the Embrey Family Foundation in estabishing the Chair of Human Rights at SMU. My dad and Lindsay Embrey were business partners for over 40 years in Richardson. The investment of the foundation in this sort of work inspires me. The Embrey Family Foundation made a catalytic investment in the development of the "Opportunity Center" that Central Dallas Ministries is developing at Malcolm X and I-30 to the tune of a $1,000,000 program related investment. . The Embrey Human Rights program expanded into new offices in Clements Hall this year and is now the fastest growing program at SMU, thanks to the donation from the Embrey Family Foundation. . 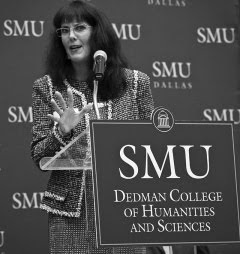 In an interview with The Daily Campus, Lauren Embrey explained that her inspiration for facilitating the million-dollar donation was Professor Rick Halperin’s History of Human Rights class, which she took while pursuing her Master’s degree at SMU. “I learned that information, and I knew I had an excellent, amazing education, and I knew that you’ve never heard of any of this information before. That was really the catalyst,” Embrey said. At the conclusion of the course, Embrey decided to go on the course’s annual trip to visit death-camp sites in Poland with Halperin and bring her two sons, both freshmen at the time–one in high school and one in college. “I don’t think they really knew what to expect,” Embrey said, whose sons were extremely receptive to the idea of spending their winter holiday on the trip. As soon as she returned from the trip, Embrey set the wheels in motion to expand the Human Rights Program through the help of her family’s foundation. She set up a meeting with her sister Gale Embrey, Halperin and Pat Davis to discuss its expansion. Once they had mapped out their vision, Embrey brought the idea to the Embrey Family Foundation’s Board of Directors, which quickly approved her suggestion. Four years later, the program has become a mainstay on the SMU campus. Embrey believes that the program fills a gap left open by the educational system. “In a sense, it was, ‘how dare my educational system think that they don’t have to give me this information, and that this information isn’t important to me as a human being,’” Embrey said. She said the program is the perfect way to address the need for more education on human rights and that the applied version of classroom learning used by Halperin is the best way to meet this need. Embrey wants the program to continue to expand and to become more integrated into the SMU student body. Lauren Embrey’s father, Lindsay Embrey, founded the Embrey Family Foundation in 2004, and its original goal didn’t necessarily include the promotion of human rights. That organization has become a human rights-focused foundation which funds human rights education opportunities into which the SMU Human Rights Program fits neatly. Embrey says she is thankful that expanding the program has been a relatively easy process. She says that the administration and the staff at SMU have been welcoming of her ideas, and she is confident that, with their help, the program will continue to improve and expand. “We are just really grateful that it is a partnership, and that people understand our vision and are with us on it,” Embrey said. Texas poverty growing. . .
New Census data released this morning revealed that 4,262,000 Texans (17.3%), including 1,774,000 children (25.6%), lived under the federal poverty line in 2009. These new numbers represent a 1.4% rise in poverty statewide, and a 2.5% jump in child poverty over the previous year. 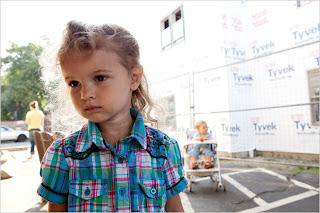 The sharp rise in child poverty comes at a time when Congress is considering legislation, known as the Child Nutrition Reauthorization Act, that would feed more hungry children. In 2009, the poverty line for a family of four in Texas was $22,050. Research has shown that growing up in persistent poverty poses high risks to child health and development, particularly when children are faced with malnutrition. The legislation under debate would strengthen the nation’s most successful child nutrition programs, including school meals, summer meals and after-school snacks. However, advocates are concerned that legislators may try to offset the cost of improvements by cutting other programs for the poor, notably SNAP (aka food stamps). The Texas Food Bank Network provides a unified voice among nineteen food banks in support of a common mission to end hunger in Texas. Follow breaking news, commentary and analysis at Twitter.com/TexansVsHunger. DREAM Act reappears--CALL YOUR SENATORS TODAY! For several years we've been working to promote passage of the Develop-ment, Relief and Education for Alien Minors Act (DREAM. Act) which would grant legal status to children of undocumented immigrants who entered the U. S. with their parents as minors. A new twist in the proposed bill's current status involved the U. S. Department of Defense. Pentagon leaders have included the DREAM Act in their latest strategic plan for military operations. To see the plan go here, paying particular attention to section 2.1.1. 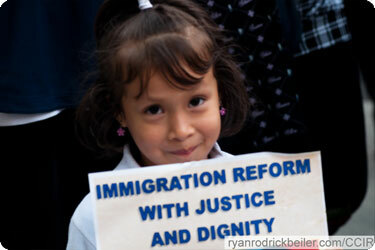 Senate Majority Leader Reid will bring up the DREAM Act as an amendment to the Defense Authorization bill this week. The amendment needs the support from Texas Senators, since 12 percent of individuals who will benefit from the DREAM Act live in Texas. Senator Hutchison's vote is crucial to make the DREAM Act a reality. Possibly now that the U. S. Military has documented its support for the bill, even Senator Cornyn might be convinced. Julieta Garibay, who holds a Master of Science in Nursing from the University of Texas added, "Senator Hutchison knows the right thing to do. She voted with us in 2007, and we ask her to vote with us again on Tuesday." If you live in Texas, call Senator Hutchison (202-224-5922) and Senator Cornyn (202-224-2934) to express your support. If you live outside Texas, call your two senators today as well. You'll find their phone numbers here. For a helpful summary of the DREAM Act and its importance in American life check out this editorial in the Silicon Valley Mercury News published on September 16, 2010. "The Gospel of Christ knows no religion but social, no holiness but social holiness... You cannot be holy except as you are engaged in making the world a better place. You do not become holy by keeping yourself pure and clean from the world but by plunging into ministry on behalf of the world's hurting ones." Student apathy and national leadership. . . 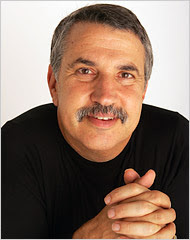 Here's an interesting op-ed essay from Thomas Friedman that appeared last weekend in The New York Times. As usual, Friedman presents a unique take on the failure of American public education and the place of the nation in world affairs as a result. Tell me what you think. The second piece, which could have been called “Why We’re No. 11,” was by the Washington Post economics columnist Robert Samuelson. Why, he asked, have we spent so much money on school reform in America and have so little to show for it in terms of scalable solutions that produce better student test scores? Maybe, he answered, it is not just because of bad teachers, weak principals or selfish unions. There is a lot to Samuelson’s point — and it is a microcosm of a larger problem we have not faced honestly as we have dug out of this recession: We had a values breakdown. . . .
Labor Day report of interest from the Center for Public Policy Priorities. Recent data on personal income and per capita personal income released by the Bureau of Economic Statistics (BEA) demonstrates the devastating effects of the recession on Americans across the country, especially in Texas where per capita personal income fell from a rank of 26 to 29 in the United States. Despite a 2 percent population increase in Texas between 2008 and 2009, total personal income declined by 1.6 percent to $904.2 billion. Although Texas had a lower unemployment rate (8.2 percent) compared to the national average (9.7 percent), per capita personal income in the state declined faster than the national rate. Twenty-one out of the 25 Texas metro areas (MSA) experienced declines in per capita personal income. Statewide, the decline in per capita personal income has been most pronounced in the larger MSAs during the recession. The data also indicate the role of unemployment insurance (UI) as an income stabilizer. Without the state UI program and federal UI extensions, per capita income would have fallen as much as 4 percent in 2009. Sunday, September 12, 2010, The New York Times reported on what we are seeing every day here in Dallas and across the nation. Times are tough for families. Central Dallas Ministries (CDM) has been involved in engaging an increasing number of families in danger of becoming homeless, more families this year than any year in our history. The City of Dallas received funding from the federal stimulus program to bring the Homeless Prevention and Rapid Re-Housing Program to the community. CDM, thanks to our effectiveness in getting the housing dollars out, recently received a second allocation of funds to help pay rent and utilities for families in distress. DENCE, R.I. — For a few hours at the mall here this month, Nick Griffith, his wife, Lacey Lennon, and their two young children got to feel like a regular family again. 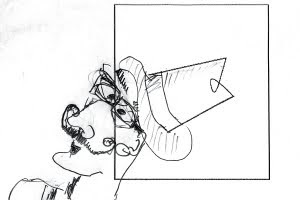 Most problems between and among people lose a bit of their edge once folks become acquainted. Possibly that common sense reality is what we've been leaving out of the current debate on the development of permanent supportive housing for our homeless neighbors. And, I am as guilty as anyone on this one. When I heard that another community task force had been appointed to work on the "problem," my cynicism kicked in prematurely. The result of City Council Member Dave Neumann's appointed work group has been encouraging to say the least. Clearly, the group set about the tough business of addressing a community crisis in a most creative and pro-active manner. My hat is off to everyone concerned. The following editorial appeared in Tuesday's (9-14-10) edition of The Dallas Morning News. Take a moment to read about the power of a good cup of coffee and getting to know new folks. Trust, frankly, did not exist. Bad blood doesn't begin to describe it. When the Dallas Housing Authority and The Bridge quietly tried to relocate dozens of formerly homeless people from Dallas' downtown assistance shelter into Cliff Manor, a north Oak Cliff high-rise, angry accusations poisoned the atmosphere. Despite community protests from several Cliff Manor neighbors, 50 apartments were set aside for the formerly homeless. But instead of the hard feelings one might expect, a community task force appointed by City Council member David Neumann is helping the new residents meld into Oak Cliff life. The approach includes a "good neighbor agreement" and a nonprofit organization to operate a coffee shop, bookstore and employment training. Cynics among us might not expect this idea to make much of a difference, but our hope is that it can bring together north Oak Cliff residents and their new Cliff Manor neighbors in a true sense of community. This model could prove especially important as the housing authority moves forward with plans to place formerly homeless people across Dallas. People who have struggled on the street with mental illness and addiction must feel secure and welcome again in neighborhoods. And by getting to know our new neighbors, the rest of us can learn that many of those who have fallen on hard times can make it back, with a little help. Yes, it's a learning process for everyone, but it's one that offers great promise for rebuilding lives and neighborhoods in small, meaningful ways. 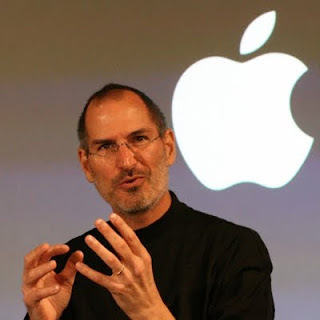 On "staying foolish". . . Your time is limited, so don’t waste it living someone else’s life. Don’t be trapped by dogma—which is living with the results of other people’s thinking. Don’t let the noise of others’ opinions drown out your own inner voice. And most important, have the courage to follow your heart and intuition. They somehow already know what you truly want to become…stay hungry, stay foolish. Eric Jensen has something to say about education and low-income children. 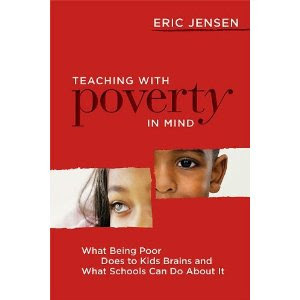 Jensen outlines his learning and approach in his book, Teaching with Poverty in Mind: What Being Poor Does to Kids' Brains and What Schools Can Do About It. Jensen really "gets it" when it comes to understanding the very real, day-to-day dynamics assoicated with poverty. Children and families face challenges and difficulties that most of us simply do not understand. Jensen's research and experience provide enlightenment and insight for anyone interested in really understanding the world of the poor. Every urban public school teacher or leader needs to listen to Jensen. Jensen's understanding leads to hope, not dispair. He speaks to "changing brains for the better." He outlines "upside potential" for children from poor families. If you care about public education, you need to spend some time with Eric Jensen. To meet Jensen and to listen to his ideas click . 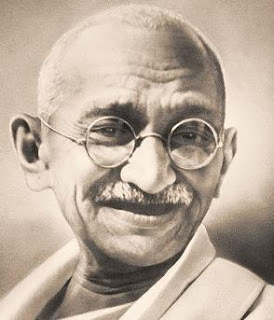 Mahatma Gandhi listed Seven Deadly Social Sins that he considered to be most spiritually damaging to humanity. This list is more relevant today than when he wrote it more than a half century ago, don't you think? Adequate substance for a Sunday reflection. About what do you worry? You know, the sort of stuff that keeps you awake or wakes you up at night. What's on that list for you? I'm hoping your list is short and your anxiety level low. But, we all worry. . .and there's lots about which to be concerned these days. Of course, I have a very personal worry list that relates to my family, my friends, etc. No need to go there, at least not here. Most of the list I have in mind today rises out of my day-to-day experiences in the community. I worry about. . .
School children staying in school, not dropping out and then being prepared for higher education once they graduate high school. Parents who face a battle every day to keep their children and themselves fed, clothed, and housed. Men, women and children who have no home to return to at night and little prospect of finding one. People who want to work and can't find a job. People who work very hard but don't earn a decent wage. People who are very ill with no or limited access to the health care that they need. People who finally manage access to health care too late. Women and children who need protection from abusive and dangerous people and situations, often very close to home or at home. Young people who want to go to college but can't. Young folks who gravitate to the street and to gangs out of a sense of powerlessness and disconnection. People who stand in line to receive food from us. Keeping things moving and sustainable in my work world, a task that is harder and harder to accomplish. Injustice in public policy matters, especially in regard to providing for the weak, the ill, the abandoned and the cast out and cast aside. The responsibility of wealth, privilege and over arching advantage. The erroneous perceptions and assumptions people operate out of when it comes to "the poor." Barriers between and among people that block communication and understanding. Hate in the name of faith/God/religion. Hopelessness that emerges from feeling left out. People who receive limited respect or consideration in the normal course of daily life. 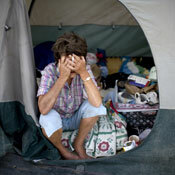 The unrelieved grief of so many people who live in poverty. Dr. Janet Morrison, director of education at Central Dallas Ministries, continually preachs the gospel of children and creativity. This notion of experiential education rests at the core of her work with the low-income children she loves so deeply. Driving toward "creativity improvement" is her mission. Janet sent me this article from the July 10. 2010 edition of Newsweek. Worth your time. Love to hear your reactions. The thought has occurred to me often and increasingly that much of contemporary Christianity has become an elaborate system of ideas, experiences, traditions and ceremonies functioning as justification for American lifestyles and culture. In a real sense, organized religion works to shield adherents from the radical values and expressed directives of Jesus. Our lives have gone so far afield from what the founder championed and from the difficulty of real, devoted adherence to his seemingly near impossible demands. Our response? We've fashioned a substitute or replacement religion that allows us to go on with our lives as they have been formed by our culture, while also inviting us to waiting for the next life to arrive. An irony is that embracing the protective substitute version of the faith is not limited to the well-to-do or even the middle class, but affects the underclass as well. Media and marketing allow us all to believe that the rewards and certain outcomes of the American Dream will someday and soon be ours as well. Embracing the gospel of the status quo sets us free to compartmentalize life into manageable sectors that may or may relate to one another at all. Countervailing voices to this mainstream, accepted accommodation get shouted down as "liberationists," "heretics," or worse. Clearly, Jesus would not be accepted by much of the contemporary Christian community, just as he was rejected by the religious of his own day. 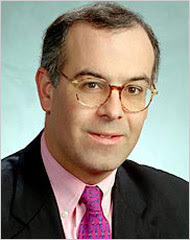 Now comes conservative columnist, David Brooks whose words in an Op-Ed essay published on September 6, 2010 in The New York Times follow much the same train of thought. Today, from 7 a.m. to 7 p.m., Central Dallas Ministries will take part in Get Up and Give! North Texas Giving Day. With hunger still a major problem in our community, we pledge to put every penny raised from today's effort into our hunger relief and nutrition programs. Today only, every donation above $25 will be matched if you donate to us through http://www.donorbridgetx.org/, an online resource connecting donors with nonprofit organizations like Central Dallas Ministries. Our goal is to inspire at least 200 individuals to donate at least $25 to this effort. Please visit http://www.donorbridgetx.org/, today -- any time between 7 a.m. and 7 p.m. Search for Central Dallas Ministries and click “Donate Now.” Your donation will go far in helping us build genuine community in the inner city— plus every dollar given at any time during the day will receive a portion of $700,000+ in matching funds – making your dollars go even further. My partner at Central Dallas Ministries, Rev. 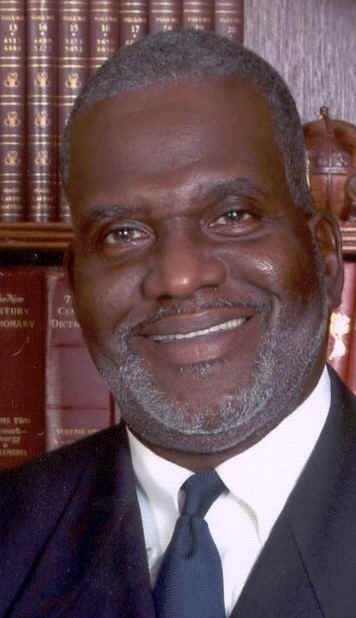 Gerald Britt, VP of Public Policy and Community Program Development, published the following thoughtful Op-Ed piece in The Dallas Morning News last Wednesday, September 1, 2010. As always, Grerald's ideas deserve careful consideration. Although there is truth in the maxim "education is the pathway out of poverty," all academic pathways are not equal. Working class and low-income adults are finding this out the hard way as they enroll in for-profit universities in record numbers. For-profit schools are privately owned or publicly traded academic institutions that promise career-focused curricula stripped of remediation and traditional liberal arts classes. These schools advertise offers of licenses, certifications and degrees that can be obtained through easy admissions and flexible schedules, all paid for by government and private student loans. Many of the schools also hold out the prospect of job placement at graduation. Many job seekers, including the unemployed and underemployed, want to increase their marketability with additional education. For-profit schools often appear to be a shorter route to this goal – with a bigger and more certain payoff than traditional post-secondary schools. In the shadow of Downtown. . .
Dan Hopkins, the project manager on the Central Dallas Ministries' side for our new "Oppor-tunity Center," captured this image last Friday morning early. The proximity of our new site to Downtown is striking. Located at the corner of Malcolm X and I-30, the new property sits on one of the strategic gateways into South Dallas. The new facility will offer health, healing, nutrition, employment, training, community connections and hope to thousands. Design is underway. Demolition is about complete. I love thinking about how this new development will help in the renewal of such an important part of our city. We're looking for investors! Join us! The history of Labor Day in the U. S. isn't understood by many people today, but it's worth remembering. Here's what appears on the U. S. Department of Labor website regarding the history of the holiday. Worth reading. We are workers, God, just like you. But we confess that our work is not always done in a manner that affirms and honors each other. Our work is not always done in a spirit that is pleasing to you. We confess that, on some occasions, we have blindly bought goods made by people who are paid too little or work in unsafe conditions. We admit that we have failed to end an unjust system in which some workers have jobs that provide good wages, health insurance, sick leave, a pension, paid vacations, and other benefits, while others have jobs that do not. Creator God, help us to build a new world out of the ashes of the old, a world where all workers are valued. One where those who clean houses are also able to buy houses to live in. A world where those who grow food can also afford to eat their fill. And one where those who serve us in stores, schools, nursing homes, and many other places are also served by us. It will be a world where all workers everywhere share in the abundance that you have given us. Our God is a God of grace and transformation. When we ask, God will give us the courage and strength to live out our faith in the workplace and the marketplace, as well as in the sanctuary. Show me the suffering of the most miserable, so I may know my people’s plight. Free me to pray for others, for you are present in every person. Help me to take responsibility for my own life, so that I can be free at last. Grant me courage to serve others, for in service there is true life. Give me honesty and patience, so that I can work with other workers. Bring forth song and celebration, so that the Spirit will be alive among us. Let the Spirit flourish and grow, so that we will never tire of the struggle. Let us remember those who have died for justice, for they have given us life. Help us love even those who hate us, so we can change the world. Courage to speak up. . .
A couple of years ago my friend, Dr. Janet Morrison captured the image in the photo positioned as the masthead of this page. Janet was working on an assignment I gave her: "Give me photos of 'the Dallas no one wants to see,' I had instructed her. She came back with some amazing shots that we used in an educational presentation designed to awaken folks to the realities of poverty here in inner city Dallas, Texas. But, back to the image that appears here every day. I find the photo haunting. I know she lives in South Dallas. I know the photo caught her looking out a broken shutter of an open window. She seems to be waving, or possibly just moving her hand. She appears to see Janet. What kind of world does she deal with living in her ramshackle, old house? What does she face day-by-day? How about school. . .does she go? What does she see, dream and hope as she looks out at the outside world? What story can you read in her big, brown eyes? What surrounds her behind the surface of this image? What is her "back story"? The image calls me to wonder, to pray, to think, to work. Frankly, it's all about her. Back in the November 2009 issue of The Atlantic, Wayne Curtis offered a great report on housing renewal in New Orleans since Katrina. Worth taking a look. Could be lessons for the entire country. Four years after the levee failures, New Orleans is seeing an unexpected boom in architectural experimentation. Small, independent developers are succeeding in getting houses built where the government has failed. And the city's unique challenges—among them environmental impediments, an entrenched culture of leisure, and a casual acquaintance with regulation—are spurring design innovations that may redefine American architecture for a generation. James V. Carroll's article, "The Secretary's War on Homelessness," appearing in the August 2010 edition of The American Legion Magazine provides a useful overview of the current state of homeless persons who've served in the U. S. Military. Veteran's Administration Secretary Eric Shinseki vows to end homelessness among vets within five years, a very ambitious goal. However, if the statistical trends reveal anything, there is reason to hope. In 2010 it is estimated that there are 107,000 homeless veterans in the U. S., down 18% from 2009 and down from an estimated 195,000 in 2004. Shinseki will spend $3.2 billion during 2010 to continue to move the data in the right direction. Of his pumped up budget, $2.7 billion will go to medical services. Only $500 million will go to housing efforts, a mistake in my view. Medical costs could actually be contained and driven down by the provision of permanent supportive housing, much like exercise and diet programs can have more impact on a person's health status than clinical medical approaches to chronic diseases. For over 16 years now, I've been involved on a daily basis working directly with low-income people and families. I've talked to, met with, learned from and come to love countless individuals who suffer in various forms and fashions as a direct result of the poverty they know all too well. I think I've learned some important lessons about "the poor" and what it takes to stay engaged in the battle against poverty. The picture is not simple. There is no romance to be found here. The people are wonderful, as I've written here on many, many occasions. But the work is very hard, and that in numerous ways..
Ironically, the more effective an organization becomes, the more difficult the challenges. Things change as you figure out how to relate to more people in a more efficient and effective manner. The cycles of difficulty become predictable. We're in the midst of just such a cycle that exemplifies the challenges of which I speak. Increasing opportunities to serve and to assist in solving the problems facing our poor neighbors come in many forms--partnership offers, new funding opportunities, public grants and contracts. Each of the opportunities reveals yet another step toward assisting more individuals and families. Still, no matter how promising or effective, the funding backing each new option never covers all of the costs associated with the endeavor to be funded. Add to this reality the fact that most funding from both public grants/contracts and some foundations arrives only after the work is completed. In other words, most of these funds involve a reimbursement process. Depending on the fund--and there are many, the payback can be anywhere from days to months in length. For some reason the State of Texas is the most notorious in this regard. We've carried accounts receivable owed to us by Texas for as much as 5 months! During that "waiting period," organizations like Central Dallas Ministries must carry the expense and endure the cash flow pressure for work already successfully completed. Add to this reality the seasonal nature of private donations. No matter what the economic conditions, the second and third quarters of the year are always the toughest. We're in the midst of that calendar reality just now. Add to this the dismal situation in the current national economy, a reality that hasn't hit Dallas as hard as other cities, but has affected our psychology and our decision making about philanthropy. Finally, we face the fact that the economic downturn has definitely affected those at the bottom of the economy, as is evidenced by the amazing increase in people who are coming to CDM, many for the very first time, seeking assistance, opportunity and hope across each of our program areas. Of course, these folks are the whole point of our existence! Currently, we are working hard to raise capital dollars to build what we refer to as an "opportunity center" in S. Dallas near Fair Park. The time is right for this effort thanks to a large donation for the purpose and to a corporate partner who will help us bring jobs and economic development to this part of south Dallas for the first time in decades. Every day we work hard on this important new development--a development that will impact our economy for the better and lift countless individuals and families from below the poverty line. And, our business plan once in the new center provides for more sustainable financing since we will have partners who actually pay us rents! But, all of this exciting new development doesn't pay the bills for our already bustling, growing work. We face a virtual constant, especially at times like this: we need to increase our unrestricted operations funding as never before to strengthen the stability of our organization. now and for years to come!